Local flowers for your wedding, restaurant, or your home! Welcome to Penn’s Corner Flowers! 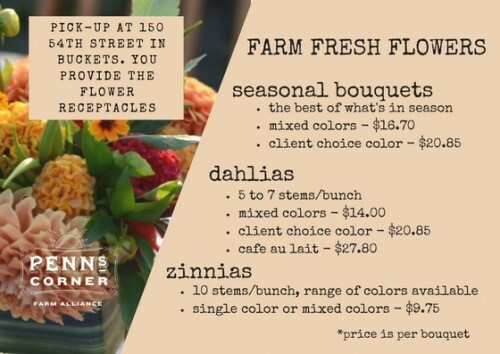 Looking for fresh cut flowers for your wedding, your restaurant tables, or just in your home? 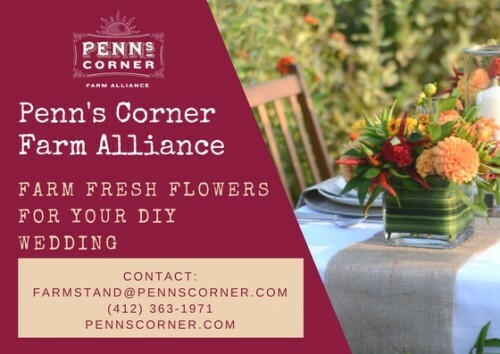 Penn's Corner member farm, The Bloomery, provides several affordable options for the DIY bride (we provide the flowers, you provide the receptacles!). Restaurants interested in fresh seasonal bouquest can access these through our twice weekly online ordering platform. For the individual consumer, we have weekly or bi-weely CSA flower shares, as well as many blooms and potted plants available for sale through our weekly online farmstand! If you are interested in purchasing flowers for your wedding please see the options below, and fill out this form. **Please note, flowers are only available through October 13th. Dahlia's are not available until mid to late August, and zinnias are not available until late July. Contact us at 412-363-1971 with any questions. We look forward to serving you with Pittsburgh’s best local flowers! 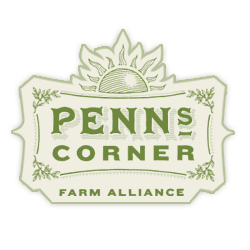 Penn’s Corner Farm Alliance is a cooperative of growers, which was established in 1999 to meet the need to bring high quality food to the fine dining establishments of the Pittsburgh area. The Penn’s Corner flower growers are positioned to deliver this same high quality in flowers direct to you. Many of our growers currently have established relationships with local florists and are also members of the Association of Specialty Cut Flower Growers.